Smoked bacon wrapped vidalia onion! You have never had an onion like this before! 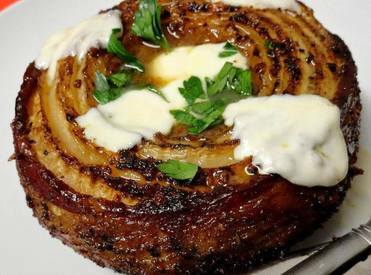 A sweet onion with beef broth, spices, vermouth and cheese wrapped in thick cut Bacon and smoked to perfection!! This will be the best tasting onion you have ever had! !